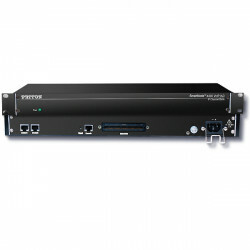 The Patton SmartNode 4932 VoIP Gateway is a 32 FXS port Internet Access Device and gateway with a E1/T1 WAN access port. 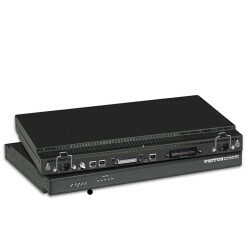 The Patton SN4300 series VoIP Gateway gives your system access to up to 32 FXS ports for connecting analog devices to your PBX such as analog telephones, fax machines, or modems. 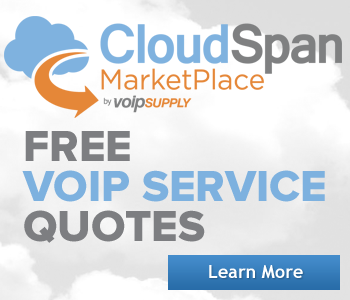 High density SN4300 FXO gateways allow access to the PSTN for failover, local calls, or a gradual migration to VoIP. The ports are accessed through an RJ21 Amphenol connection. 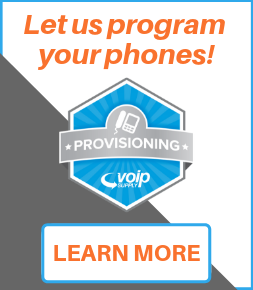 The Patton SmartNode 4432 IPChannel Bank is the perfect VoIP gateway for applications requiring 32 concurrent analog/fax calls within a single redundant solution. 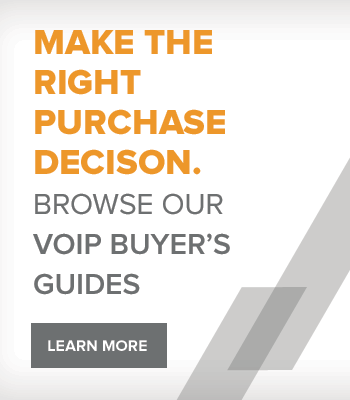 The Patton SmartNode 4528 VoIP Gateway router combines IP routing, VPN/Security, and Quality of Service (QoS) for up to 8 transparent voice or fax channels and data over an IP or PSTN network. 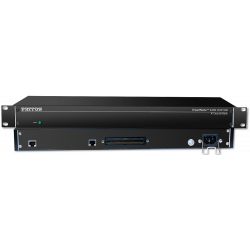 The Patton SmartNode 4912 VoIP Gateway is the ideal solution for service providers or enterprises requiring high-density analog connections for converged internet telephony. 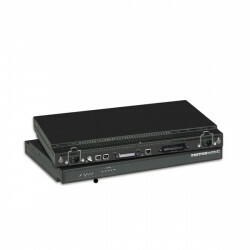 The Patton SmartNode 4916 VoIP Gateway is a 16 FXO port VoIP Gateway Router with a redundant 48VDC power supply. The Patton SmartNode 4916 VoIP Gateway is a 16 FXO port VoIP Gateway router with an integrated UI power supply. 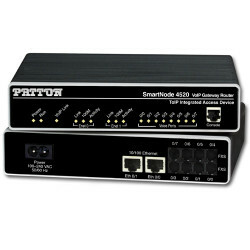 The Patton SmartNode 4924 VoIP Gateway is a 24 FXS port gateway with a 48 volt DC redundant power supply. The Patton SmartNode 4932 VoIP Gateway is a 32 FXO port gateway router with redundant 48 volt DC power.